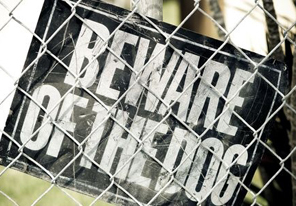 Liability in dog bite cases is based upon notice to the owner of the animal that it has prior vicious propensities. If it is established that the owner was aware, or should have been aware, of prior vicious propensities, the owner is strictly liable if he/she continues to harbor the dog. New York does not recognize a cause of action in negligence or liability to an insured regarding the manner in which the dog is restrained, either in the house or on a leash. The comparative negligence of the plaintiff can be considered if the plaintiff either provokes the animal or puts him or herself in a position of danger, knowing of the dog’s prior vicious propensity. For these reasons, the firm takes a very pro-active approach to early investigation and development of the facts necessary to mount an effective defense. Interviews and statements from the dog owners and their neighbors are often integral to an effective defense of these claims. Our approach to handling these cases begins with a comprehensive initial evaluation and report to the insured and the carrier. This includes an analysis of the potential liability, damages (based upon the available medical records) and potential exposure. We also make certain to meet with the individual insured, personally visit the accident site, secure, photographs, identify witnesses and gather as much evidence as possible in the early stages. We do not allow the plaintiff’s counsel to dictate the direction or pace of the case. Our defense strategy is developed in the initial stages of the litigation and shared with the carrier. We’ve also developed and cultivated a list of reliable and litigation savvy medical experts to review records, examine plaintiffs and offer support of testimony at trial. The entire process is geared toward building a strong defense and giving the carrier the information necessary to make intelligent and reasoned case determinative decisions. The firm’s staff is well-trained and each member of the team is fully acquainted with all pending matters. The firm works collaboratively to provide our insurance carrier clients with a superlative work product.